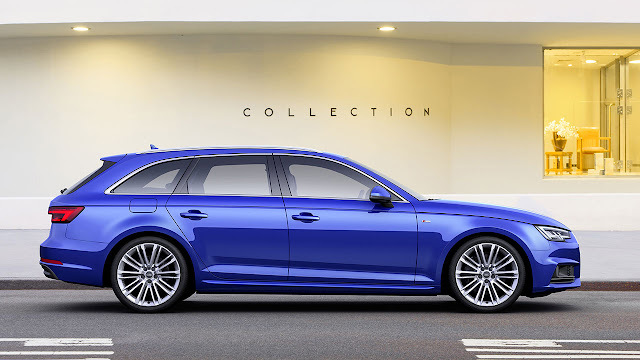 More powerful, more efficient, more intelligent: the new Audi A4 and A4 Avant feature numerous premium technologies which set higher benchmarks for their class. Elegant design blends with an innovative control concept, and lightweight construction meets new, efficient drivetrain solutions. 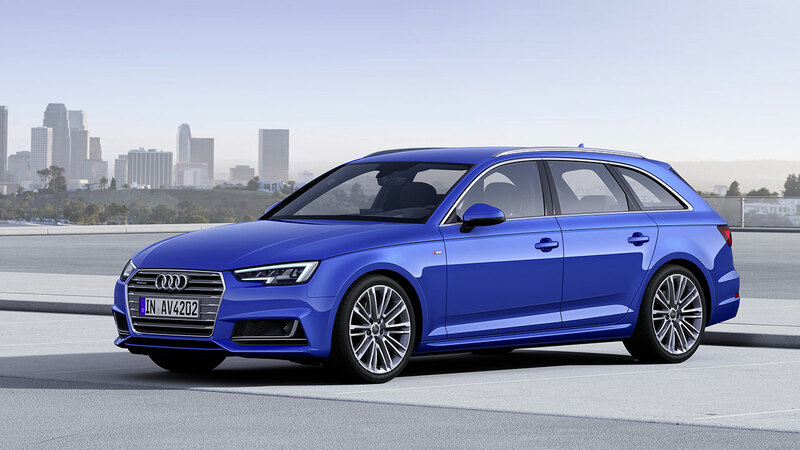 The A4 and A4 Avant are also ahead of their peers in terms of infotainment and assistance systems. As a result, UK customers who will begin taking delivery of their cars in late 2015 can look forward to a truly high-tech experience ― an innovative synthesis of technology and aesthetics. When it comes to aerodynamics, the two new models dramatically outpace the competition. The A4 Saloon has the best drag coefficient in its class at 0.23, and the A4 Avant pierces the air almost as cleanly with a 0.26 figure. The new models also have impressively low CO2 emissions which in the 2.0 TDI ultra dip below 100g/km. 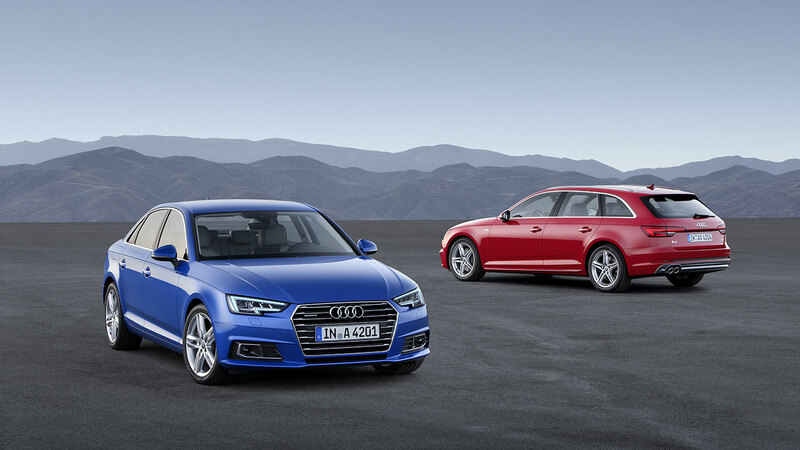 The most powerful engines are two TDI six-cylinder units with up to 272PS. 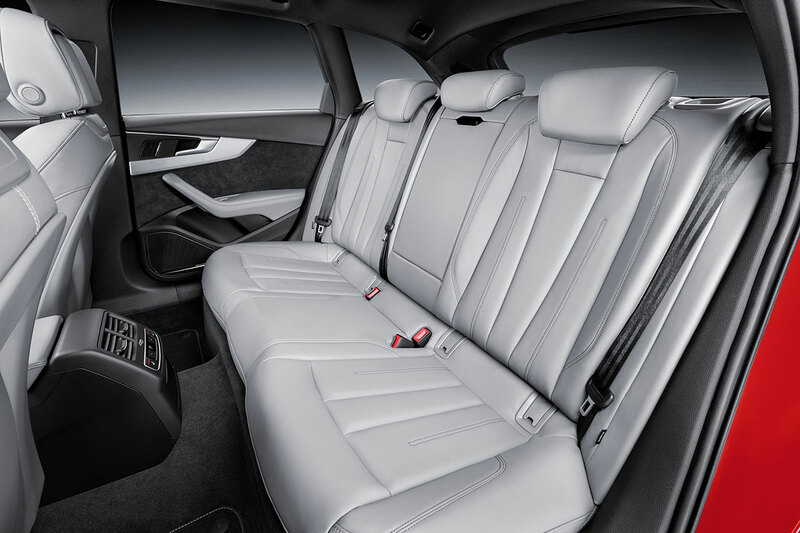 Driver assistance and infotainment systems are of luxury quality. 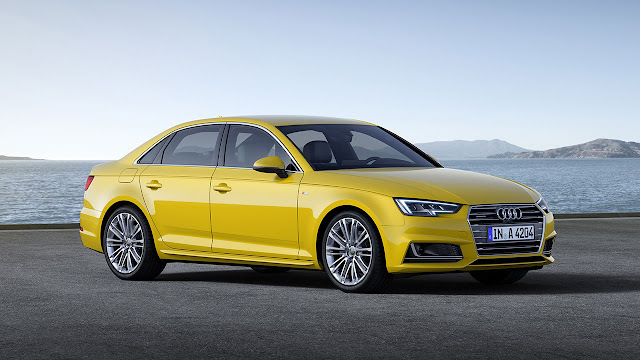 A new generation of four-cylinder TFSI engines with newly developed combustion methods sets benchmarks in terms of fuel consumption, emissions and performance for four-cylinder petrol engines. At 4.73 metres long and with a wheelbase of 2.82 metres – the new Audi A4 and A4 Avant have a confident stance on the road. A prominent horizontal line on the front and rear emphasises the car’s width. The flowing design with concise lines communicates the sporty elegance of the brand. The Singleframe grille is wide and low; the optionally available headlights in LED and Matrix LED technology (including dynamic indicators) make technology a visual trademark. 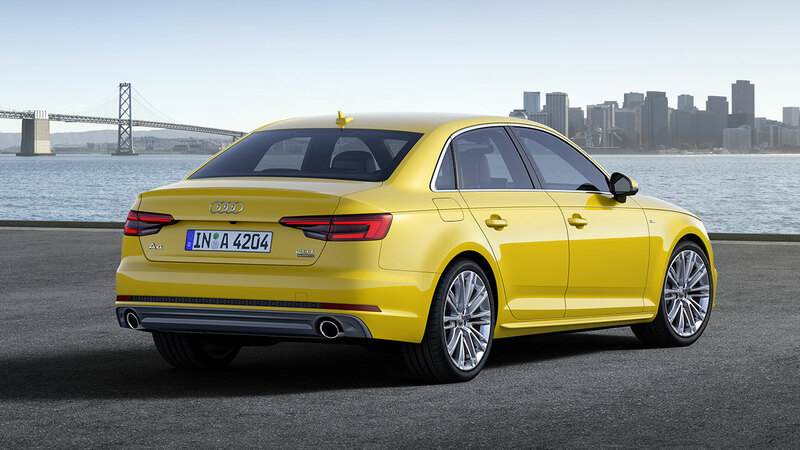 The handling of new A4 makes a great leap forward. The suspension and steering filter out disturbances such as an uneven road surface, but communicate to the driver important information such as increases in lateral forces and tracking. This performance is based on the redeveloped five-link axles and the electromechanical power steering. They lay the foundation for dynamic handling and first-class ride comfort while also reducing fuel consumption. Additional options are dynamic steering, which varies its ratio according to the car’s speed and the steering angle, and suspension with adjustable shock absorbers with which the driver can for the first time select between two settings: sports or comfort. Both of the suspension settings are included in the Audi drive select driving-dynamics system, which is standard equipment in the UK.